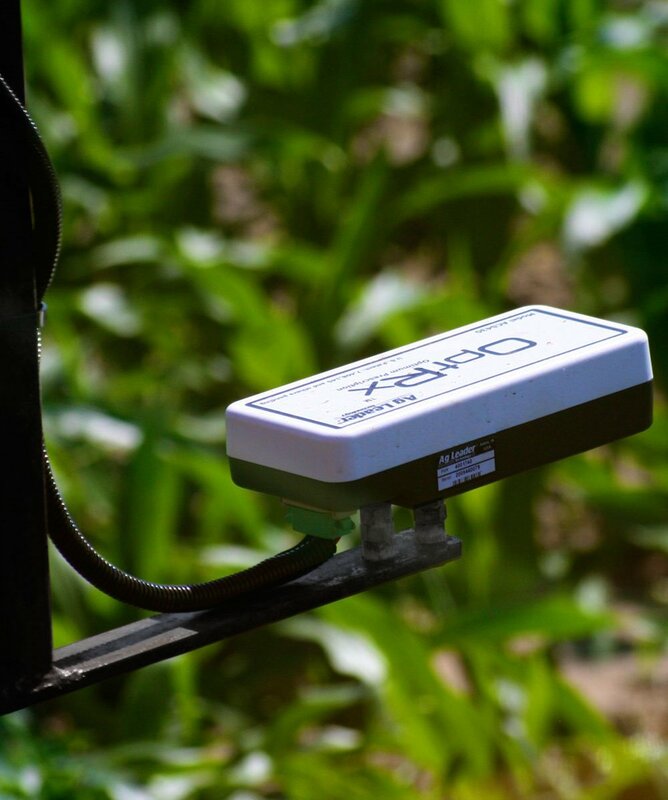 OptRx Crop Sensors measure and record data about crops in real time using the reflectance of light shined on the growing plants. 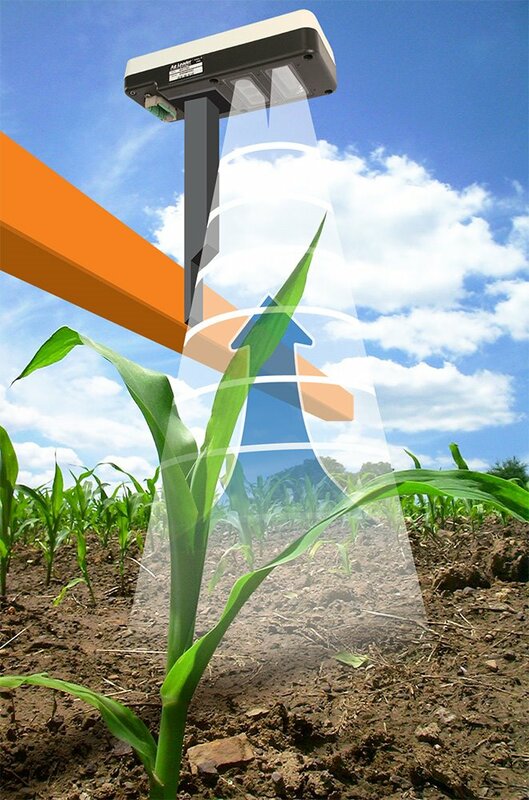 The use of crop sensing technology in grains, cereals and other production ag crops is one technique to increase plant health and yield potential. OptRx Crop Sensors measure the needs of your crop and provide application rate recommendations for agrochemicals in real time to maximize your profit. Virtual reference strip. Unlike many other crop sensors on the market, the OptRx Crop Sensor doesn’t require a nitrogen-rich strip for making nitrogen application recommendations. Instead, OptRx relies on a new technology called a virtual reference strip. Growers simply identify the healthiest area of the field and scan that area in real time, rather than applying excess nitrogen to an area of the field pre-season and mapping that point. User-friendliness. The OptRx sensor offers a user interface that exceeds previous sensors. OptRx directly interfaces with the InCommand 1200 display to show the sensor readings and mapping onscreen along with other application data, such as rate control and automatic swath control. Red-edge light wave. OptRx uses a red-edge light wave to scan plants. Most competitive products use only a red wavelength, which has been shown in studies to be non-responsive at high plant density. The red-edge lightwave stays responsive to health-stress on plants at later growth stages than other competitive products. Single algorithm. 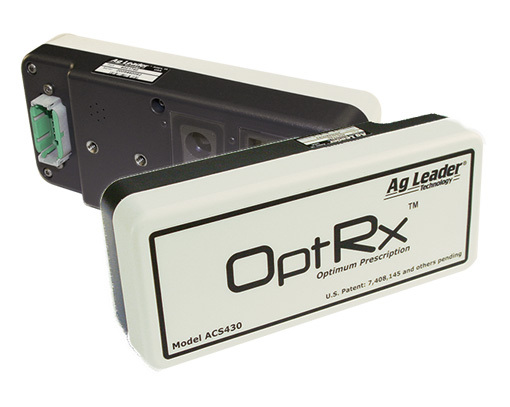 OptRx crop sensors use a single algorithm application. Trials have been conducted in multiple states that have shown positive results of using a single algorithm in comparison to multiple algorithms. 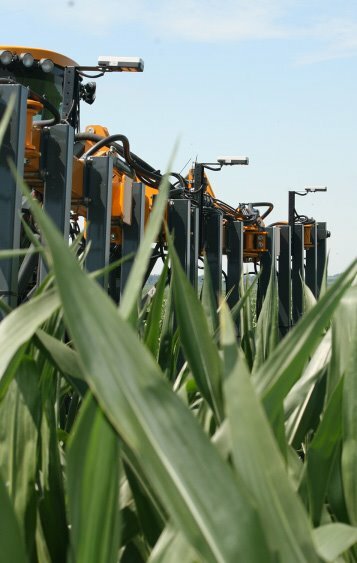 Reduce application of nitrogen in nitrogen-rich areas. 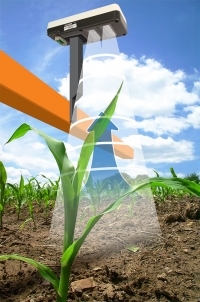 Increase yield potential in nitrogen-poor areas of the field. Record crop vigor variation data across the field. Balance the effects of organic material variability across the field. Improve yield potential for crops harmed by denitrification due to poor drainage.